﻿ GoodFella's Pizza - Ohio. Find It Here. 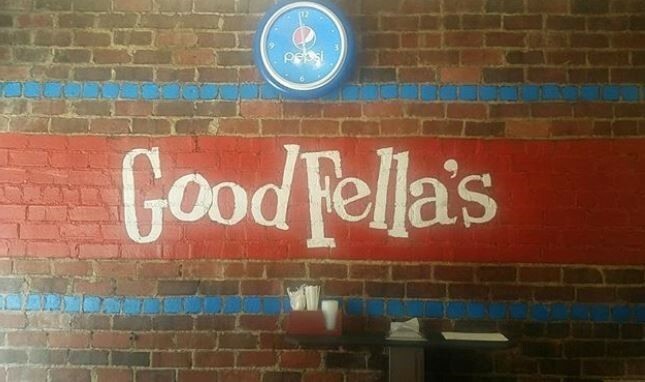 GoodFella's Pizza is a local business that cares about the Athens community and we show that through quality pizza and service. Sit down to our fluffy yet crispy crust that sets our pizza apart from other players in tow -- not to mention one post-card sized slice can be a meal! Combined with our signature sauce and toppings and cooked-to-perfection toppings, we're the perfect snack between shopping in town and taking a hike through Athens' various natural parks. We also have salads, drinks, daily specialty slices, and Velvet ice cream available for purchase. Our location has limited indoor and outdoor seating, but nearby benches and Ohio University's college green provide a great place to sit down and relax. We're a family-friendly pizza shop, but we're open late for those taking advantage of Athen's great nightlife.